Plurals never looked so good! 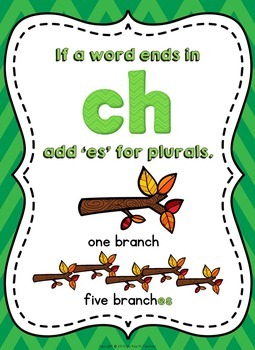 This set of colorful posters reminds students when to use "~es" to form plurals. The instructions are clear, the illustrations are crisp... and your class is sure to love them! Editable Planner in Word Document FREEBIE!